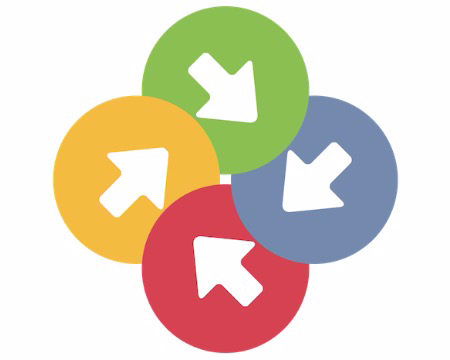 Switch between multiple Jamf Pro Server instances. 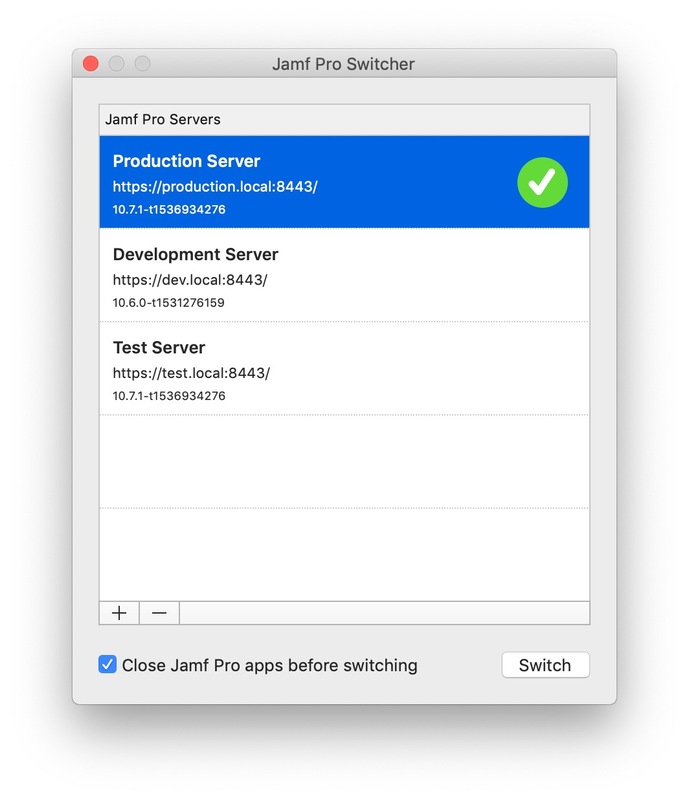 Optionally close Jamf Pro Apps (Jamf Admin, Jamf Imaging, Jamf Remote, Recon) before switching. 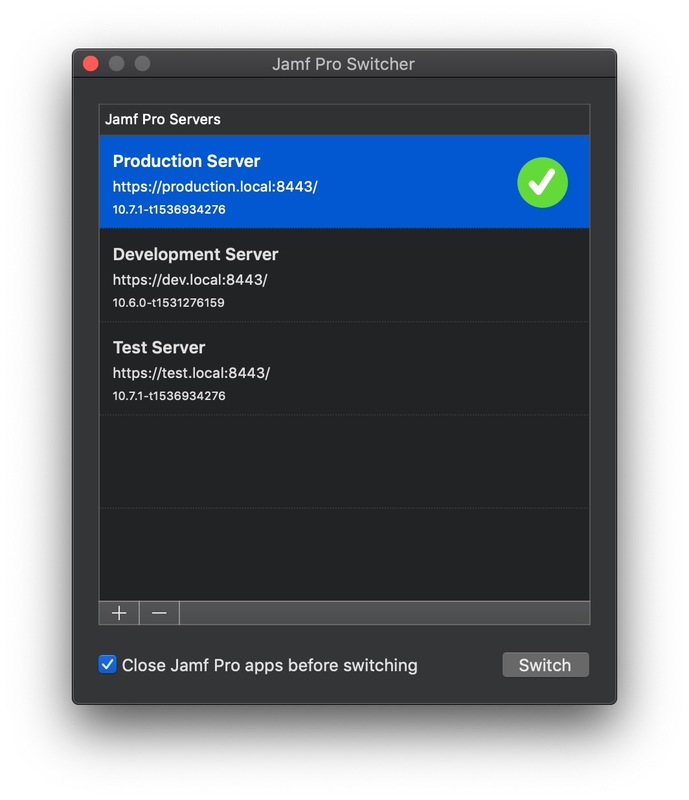 Double click a selected Jamf Pro Server to be taken to the respective login page.